In a few weeks I will be passing out copies of our next book to read and study in 8th grade literature, Sir Arthur Conan Doyle’s masterpiece, The Hound of the Baskervilles. It is one of my favorite books and I love teaching it. Along with teaching this great mystery and covering literary elements like foreshadowing and flashbacks, it also gives me an opportunity to teach the 8th grade a bit about one of my favorite periods in history, the Victorian Era. Sir Arthur Conan Doyle, 1859-1930, was born in Edinburgh, Scotland, the country of birth of my maternal grandparents, so I feel a certain kinship with him. At his birth, the reigning monarch of the United Kingdom was Queen Victoria, having ascended to the throne at the death of her uncle, William IV, in 1837. She ruled over her great and ever-expanding empire until her death in 1901, conquering and colonizing many distant lands far beyond the shores of the British Isles. Conan Doyle was very much a product of the Victorian Era. Victoria, on the throne for 63 years 216 days, stands today as the longest reigning monarch of Great Britain, however, Elizabeth II, her great-great granddaughter, is nipping at her heels. If Elizabeth II is still on the throne on September 10, 2015, she will officially surpass her great-great grandmother as the longest reigning monarch of Great Britain. As I do every year, I will tell my 8th graders, who will soon sprout their wings and fly off to the wild, unconquered world of high school, to think of me on September 10, 2015, when Elizabeth II passes her by. There is every reason to believe this will happen, as Elizabeth II, at the age of 88 still carries out her duties with a sturdy step and regal bearing. 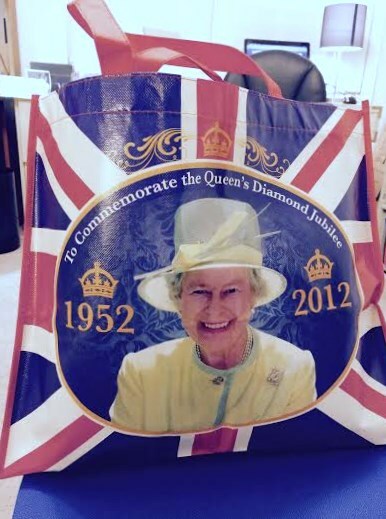 In 2012, during her Diamond Jubilee year (60th anniversary on the throne), she carried out 425 official engagements. While at Balmoral, her family estate in Scotland, she still goes for long walks with her battalion of corgis, drives herself around in a Range Rover, and goes horseback riding. Not bad for 88 years old. Some European monarchs abdicate after a lifetime of service and pass the reins on to the next generation, while the retired monarch is still around for counsel and advice. In a short span of eighteen months, multiple examples occurred: Spain’s King Juan Carlos, citing poor health, stepped down in favor of his son; Belgium’s Albert II abdicated to make way for his son albeit in the midst of some degree of scandal and controversy; and Queen Beatrix of the Netherlands followed her mother and grandmother’s footsteps to allow her son to ascend to the throne while he was at the prime of his life. Even the Catholic Church has been affected by this phenomenon, with the resignation of His Holiness Benedict XVI in February of 2013. Meanwhile in London, it would appear that 66-year old Charles, Prince of Wales and heir to the throne of Great Britain, will have to wait. Abdication for Queen Elizabeth II is simply not a possibility. Her ascent to the throne was one of great sadness, following the premature death at the age of 56 of her father, George VI. The story behind George VI’s unexpected ascent to the British throne is the basis for the 2010 Best Picture winning movie, The King’s Speech. For an American, I know an inordinate amount about that time period. I have always been fascinated with royalty. I spent my childhood reading the Compton’s Encyclopedia, from A-Z, devouring anything in the alphabet about royalty anywhere in the world. As I grew older, I began reading biographies of the various monarchies, tomes such as Robert Lacey’s 1977 Majesty as well as his 1981 The Kingdom about Saudi Arabia, still one of my favorite books of all times. I enjoyed Antonia Fraser’s Mary Queen of Scots and Jerrold Packard’s Victoria’s Daughters. And then, in the early 90s I stumbled upon the British made for TV mini-series Edward & Mrs. Simpson. Based on Frances Donaldson’s biography of Edward VIII, who ruled a land steeped in history and duty but gave up the British throne to marry an American divorcée. This story so captivated me that I read everything I could get my hands on about the battle royal of 1936-1937. This turbulent time in British history began with a young man disenchanted by the routine and rigors of reigning, who refused to settle down, marry, and produce the requisite heir to the throne. It culminated with the titular head of the Church of England announcing his plans to marry a married woman who was seeking her second divorce. The British government informed the then King Edward VIII that his subjects would not tolerate his marriage to “the American”, Bessie Wallis Warfield Spencer Simpson. And with the stroke of a pen, on December 10, 1936, at his beloved Fort Belvedere, Edward VIII, known throughout his childhood and life before ascension as either David or Prince of Wales, was reduced to the ranks of Prince Edward, Duke of Windsor, a title created solely for the situation. On June 3, 1937, in a rented château near Tours, France, the Duke married the woman for whom he had given up everything, with not one member of his family in attendance. The shy and stuttering younger brother Prince Albert, Duke of York, ascended to the throne, unprepared for the strain and stress of the monarchy. His pretty yet stalwart wife, who would later become Queen Elizabeth, the Queen Mother, never forgave the Duke and Duchess of Windsor for their actions in the constitutional crisis that held Britain in suspense for nearly a year or for the premature death of her husband the king. As dramatized in the movie The King’s Speech, George VI, who died at the age of 56 of lung cancer, was urged to by the royal doctors to smoke more as the tobacco and inhaling/exhaling of cigarettes was believed to be a remedy for his ongoing battles with stuttering and stammering. It is hard to imagine that this did not influence the young Princess Elizabeth, who, like her great-great grandmother Victoria, was born to royalty, but not born to be heir to the throne. The abdication changed Elizabeth’s life forever, and many a British are thankful for that. Had Edward VIII remained on the throne, what would have become of England during WWII? Edward had visited Germany and met with Hitler. There were those of the opinion at the time that Hitler’s plans were to conquer Great Britain and reinstate Edward to the throne with Wallis at his side. The Allies and Churchill prevented this from becoming a reality, having successfully taken back France and ending the war, but also because Churchill put Edward and Wallis on a British warship and dispatched them to the Bahamas, then a British colony, where Edward served as Governor, a menial post meant to keep him (and Wallis) out of trouble and as far away from England as possible. In their personal life, the Duke and Duchess of Windsor, she forbidden the style of “Her Royal Highness” by George VI, with the support of his wife and his mother, called each other “WE”, representing the melding of the initials of their names along with a slightly sarcastic nod to the royal “we”. Historians have reflected hypothetically on the possibilities of “WE” ruling Great Britain, side by side, during WWII, and whether the outcome of the war would have been any different. It is not disputed, however, that George VI matured and grew into the role of a respected monarch, admirably leading Britain during that tumultuous time, with his beloved wife and daughters at his side. When asked if Princesses Elizabeth and Margaret would be sent out of Britain during the war, the queen replied that the children would not go without her, and she would not go without the king, and the king would never go. After Buckingham Palace was hit by German bombs she famously stated that she was glad her home had been struck, so that she could look those of the East End, an area of London heavily hit in the air raids, in the face. Not a single scandal tarnished the house of Windsor during the reign of George VI. And during Elizabeth II’s long and ongoing reign, the scandals have been those of her children, not hers. Her reign has been and continues to be one of grace, dignity, and duty. Edward and Wallis set out to change the world by challenging the British with their love affair, but the biggest change “WE” effected was that of bringing George VI and his heir to the throne of England, his heir who should, God willing, in a little over six months out-reign Queen Victoria. Long live the Queen.